TWO soldiers shot dead by Real IRA gunmen outside an Army barracks in Northern Ireland were today named as Mark Quinsey and Cengiz Azimkar. Both men were shot dead in an ambush by terrorists firing automatic rifles in a ruthless attack that has rocked the peace process. Sappers Mark Quinsey, 23, from Birmingham and 21-year-old Cengiz Azimkar from Wood Green, north London - both of 38 Engineer Regiment - were killed outside the Massereene Barracks in Antrim on Saturday. 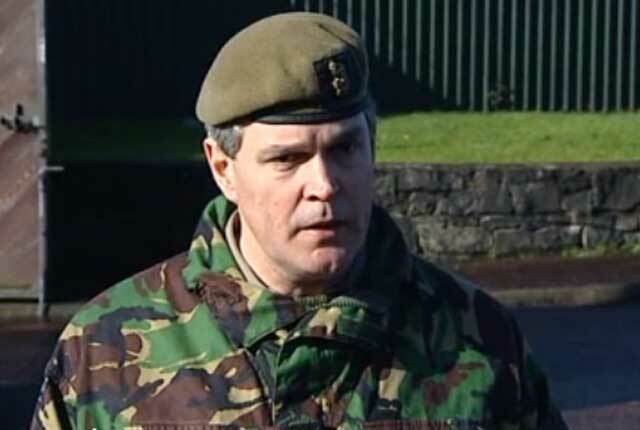 Northern Ireland’s most senior soldier, Brigadier George Norton, today said the pair were “magnificent” servicemen and condemned the “callous and clinical attack”. He met Gordon Brown today, during the Prime Minister's visit to the Army base. 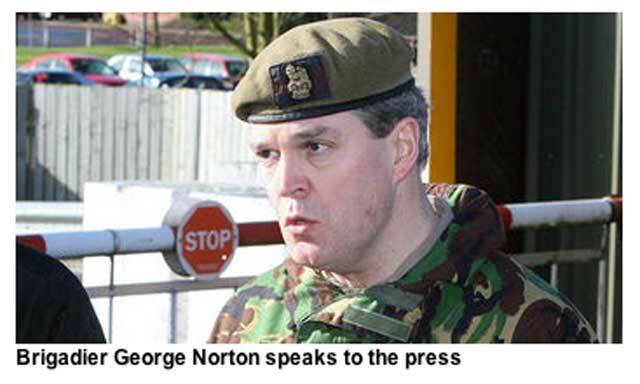 Brigadier Norton said the professionalism of soldiers who gave first aid on the scene "undoubtedly" saved lives. He added: “Our thoughts across the armed services are with the colleagues and friends of these young soldiers who were killed and injured in an horrific attack. The two young soldiers were just hours away from leaving for Afghanistan and had been collecting pizzas before their flight to Helmand. It is believed the gunmen waited until the troops - all dressed in desert fatigues - emerged through the gates to pick up the food before opening fire. At one stage the killers stood over their victims and fired a second volley. Four others - including two pizza delivery men - were also injured, one critically. One of the delivery men was today named as 19-year-old local Anthony Watson. Gordon Brown visited the army base in Northern Ireland today where he held crisis talks with security chiefs and political leaders. 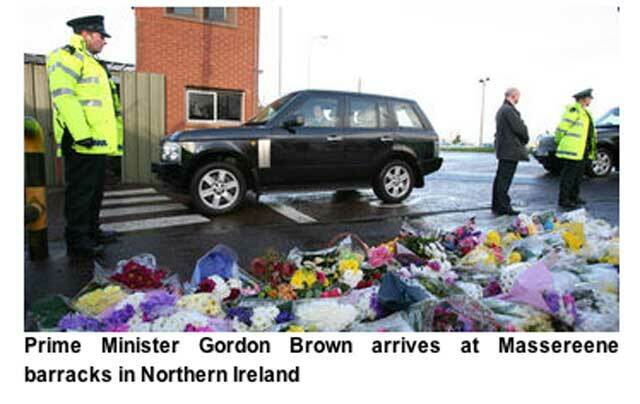 He was accompanied by Northern Ireland Secretary Shaun Woodward and police Chief Constable Sir Hugh Orde. Sir Hugh, who had earlier called in undercover soldiers to carry out surveillance operations in a bid to thwart a heightening threat against his officers, ruled out putting troops back on the streets. But the planning and execution of this double-murder after a series of failed attacks over the past two years will mean an immediate and urgent review of security measures. There are an estimated 200-300 dissident republicans active in Northern Ireland and even though no more than a dozen may have been directly involved, detectives believe the two masked gunmen were clearly experienced in the use of high-powered weaponry. The Real IRA South Antrim unit claimed responsibility in a phone call to the Sunday Tribune paper in Dublin. The organisation is the same that killed 29 people - including a woman pregnant with twins - in the bombing of Omagh, Co Tyrone, in August 1998. Prime Minister Gordon Brown and the Irish Taoiseach Brian Cowen insisted the killings would not disrupt the peace process.